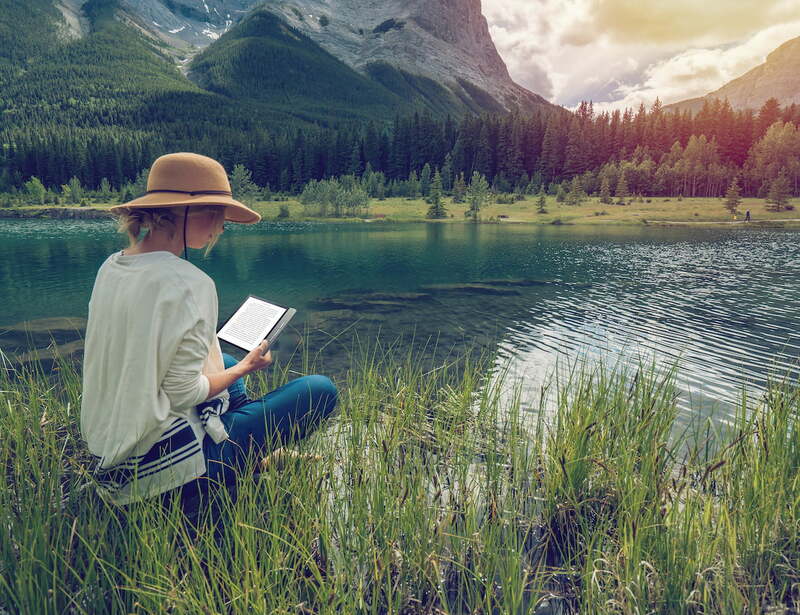 Kobo has officially debuted its latest ebook reader, and it’s called the Kobo Forma. 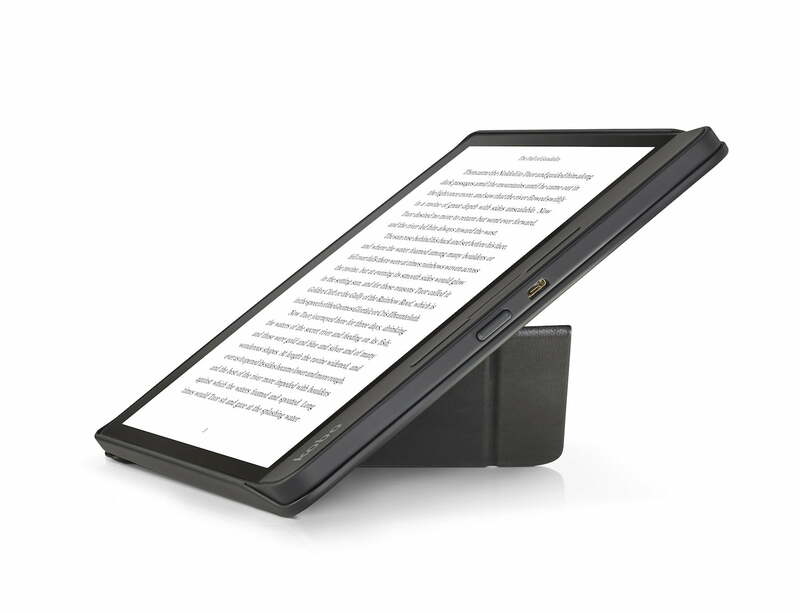 The company’s new device is not only its largest ebook reader — it’s also the company’s lightest and most durable. The Forma has a revamped design, reliable waterproofing, and comes with the ability to switch between landscape or portrait orientation, among other features. The Koba Forma will cost you $ 280 and is available for pre-order starting October 16. You’ll be able to purchase it in stores and on Kobo’s site starting October 23 in the U.S., U.K., Canada, France, Italy, Japan, Spain, and the Netherlands. Starting October 30, it will be available in Australia, New Zealand, Switzerland, Sweden, and Turkey. It will be available in Mexico early next year. It will also be available in other countries at a later date. Kobo’s Forma features an 8-inch Carta E Ink HD display, as well as ComfortLight PRO, which offers adjustable brightness along with color temperature that auto adjusts. Little by little, it reduces blue-light exposure in an effort to help reduce eye strain. That way, it won’t contribute to irritated eyes or sleep disruption, which often comes from blue light exposure. With a look similar to Amazon’s Kindle Oasis (2017), the Forma has an ergonomic design that makes it comfortable to hold. There are also page-turn buttons on the side of the device, making it easier to flip through pages of your book whether you’re holding it with one hand or two. In terms of weight, the Forma comes in at 197 grams — almost 15 percent lighter than the Kobo Aura ONE. The Forma is only offered in black. 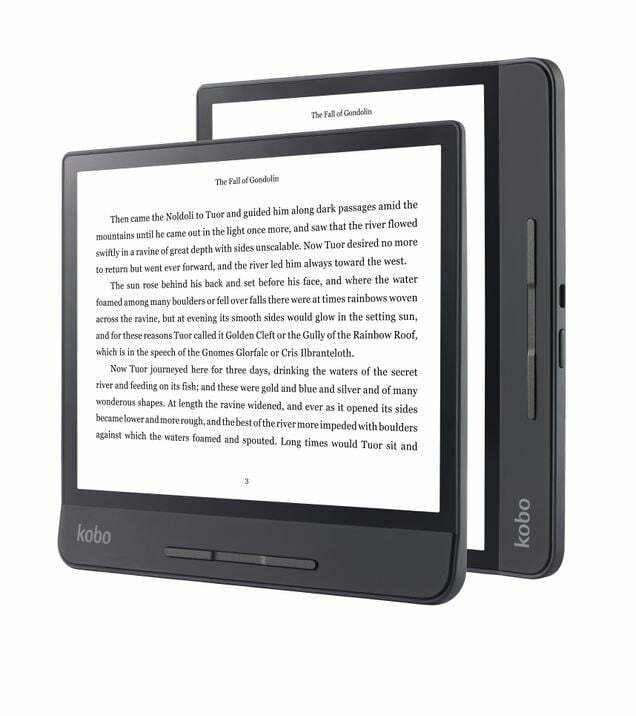 The Forma is also the first Kobo device with Mobius technology, which uses a flexible plastic layer within the display to increase durability. Kobo says the Forma has survived drops of more than 2 meters, as well as bends, twists, and being inside of overloaded backpacks or handbags. Under the hood is a 1,200 mAh battery, which is only slightly smaller than last year’s Kobo Aura H2o, which features 1,500 mAh that lasted us about a month on a single charge. With 8GB worth of storage and 512MB of RAM, you’ll be able to store up to 6,000 ebooks on the Forma. Koba will also offer a 32GB version in select markets, starting with Japan on October 23. Those who want to take their Forma to the beach or use it to read while taking a bath will be happy to know the device is waterproof. With HZO Protection, which meets the requirements of an IPX8 rating, the device can be submerged in up to 2 meters of water for 60 minutes. As for additional features, users will have the ability to highlight passages, bookmark pages, track progress, and more. 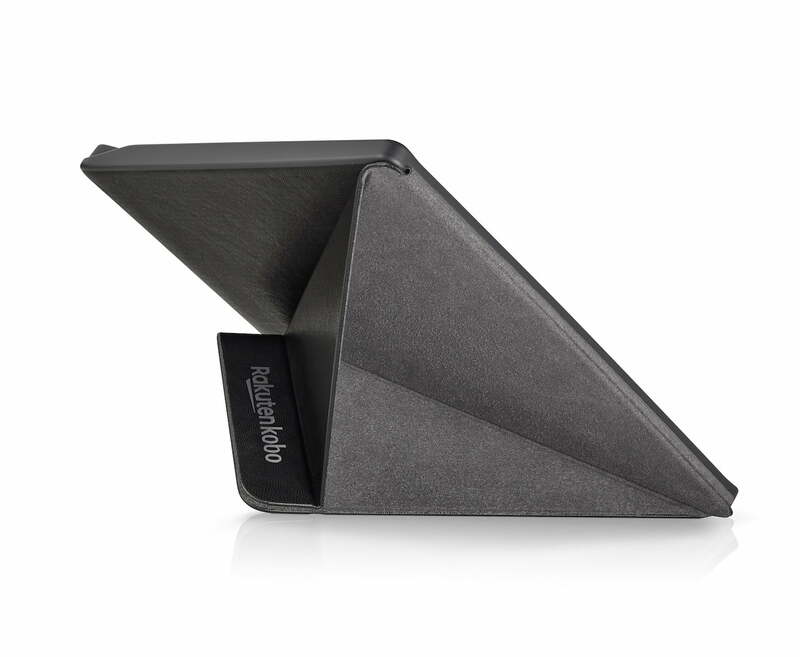 Kobo will offer a Forma SleepCover in black or plum,tallowing users to read hands-free (in landscape or portrait mode) by flipping the front cover into a stand. It will also automatically wake up your Forma when you open the cover and put it back to sleep when you close it.